Product prices and availability are accurate as of 2019-04-14 09:48:28 EDT and are subject to change. Any price and availability information displayed on http://www.amazon.com/ at the time of purchase will apply to the purchase of this product. 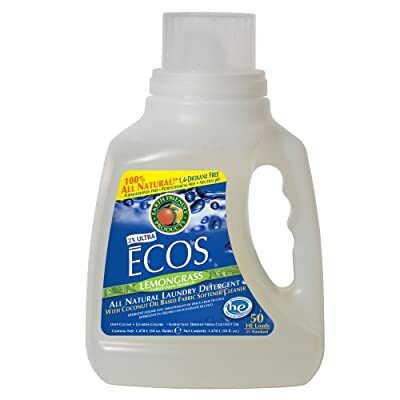 The Earth Friendly Products Proline PL9756/08 ECOS lemongrass scented liquid laundry detergent helps clean clothes and linens in high-efficiency or standard washers, either top-loading or front-loading, in all temperatures, and is made with biodegradable, plant-based active ingredients such as lemongrass essential oil and coconut-based fabric softener, using a pH-balanced formula that reduces the risk of damage to fabric. It comes in a 50 oz. bottle with large handle for pouring. This product is safe for greywater and septic systems.